It wasn’t to be. 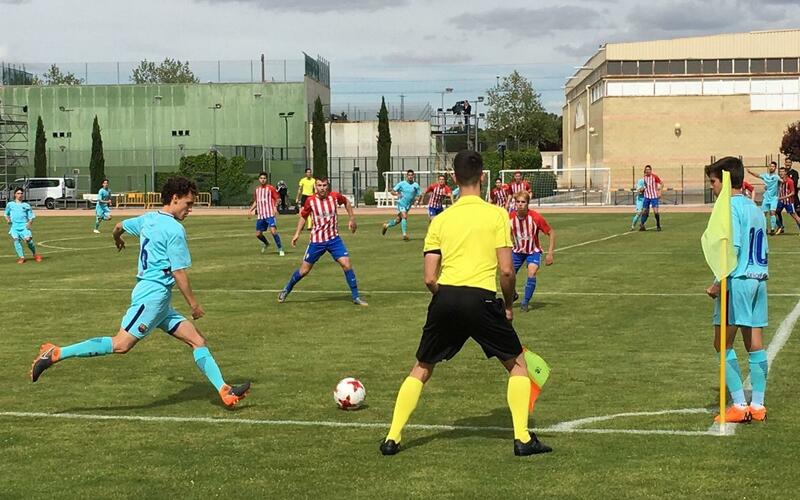 FC Barcelona’s U19A side have lost in the semi-finals of the Copa de Campeones and have lost the opportunity to win three trophies having already secured the league and the Youth League. Denis Silva’s side dominated and took the initiative throughout but they were unable to turn the game around. They ended up losing 2-1 to Sporting, the champions of Group 1 of the Division of Honour. The Asturians took the lead within ten minutes minutes through Sandoval, who followed up to score after Pelayo Morilla had hit the post with a header (1-0, min 10). The goal hurt the blaugranas and made them push for an equaliser. They went close various times but it wasn’t until after the break that Marqués headed in a Miranda cross (1-1, min 67). The U19A team pushed for the winner. They were in control but lacked cutting edge. Sporting responded with the crucial strike thanks to Ferre which took them into the final.